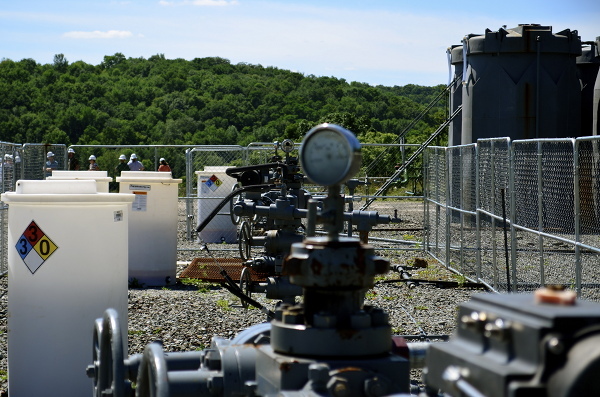 Recent headlines about the Marcellus Shale in Pennsylvania have turned heads and put to rest a few myths about shale gas development. To wit: Thanks to shale development, Pennsylvania is slated to overtake Louisiana and become America’s number two natural gas producing state in 2013, according to Bentek Energy. Since this time last year, natural gas production from shale gas wells in West Virginia and Pennsylvania is up about 50 percent. According to Bentek Energy, by the end of this year Pennsylvania will have produced 3.2 million cubic feet of natural gas, and the natural gas flowing out of the Pennsylvania Marcellus region alone will provide 13 percent of America’s gas in 2013. The Bentek Energy analysis stated that the increase in production numbers came about because of an increase in gathering pipelines and other necessary infrastructure coming online to carry gas to consumers. While other states sit by and watch, Pennsylvania is proving to be an energy resource powerhouse. Residents in the Commonwealth will continue to reap the vast benefits of resource extraction in royalties and impact fees, as well as lower energy bills and more jobs. Simply put, economic prosperity has come to the area, and there’s no sign of it leaving anytime soon. With domestic production numbers on the rise, we can expect our reliance on foreign resources to continue to fall. According to the Energy Information Administration (EIA), the United States is at its lowest level of net imports since 1990. If these recent production numbers for Pennsylvania are any indication of the future, we can expect our energy security to only strengthen in the coming years. It’s evident that if we continue to develop our domestic resources and support the infrastructure used to take it to local markets, shale will keep us on the path towards energy independence.